This is an 10-page probability cheatsheet compiled from Harvard's Introduction to Probability course, taught by Joe Blitzstein (@stat110). The probability formula sheet summarizes important probability probability concepts, formulas, and distributions, with figures, examples, and stories. Joe Blitzstein (@stat110, Quora) - Professor of Statistics at Harvard, and instructor of Harvard's Stat 110 (Probability). William Chen (@wzchen, Quora) - A data scientist at Quora and a former Teaching Fellow for Harvard's Stat 110 (Probability). The LaTeX file is available on Github (Probability Cheatsheet LaTeX). Comments / pull requests / questions / raised issues are highly welcomed. The source code is available under CC BY-NC-SA 4.0. Yuan Jiang, Jessy Hwang, and Yuqi Hou for contributing various pieces of content for the cheatsheet. This cheatsheet is 100% based on the content in Blitzstein's Introduction to Probability course. Get the Introduction to Probability (affilliate link) textbook from the course for the full treatment of the material. 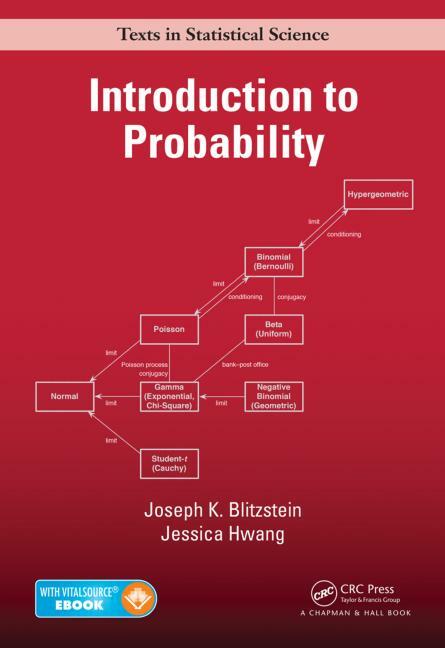 The material in the cheatsheet is based tightly off the material in this textbook, Introduction to Probability, by Joe Blitzstein and Jessy Hwang. I owe a lot of my own probability understanding to the material in this textbook.